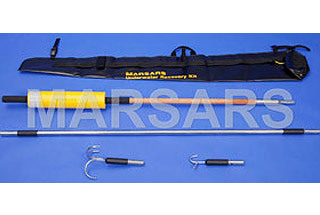 The following selection of MARSARS Reach Pole Systems have been designed to extend user’s reach for small boat towing, close-in surface ice rescue, or limited depth underwater recovery. System 3.1 is a versatile package that grants your team the means to conduct a land or boat based underwater recovery attempt, multi-victim ice rescue, and pet rescue. System 3 contents plus 110′ pet rescue bag/lasso. This system gives the ice rescuer of surface based boat crew the means to make a rapid underwater recovery attempt. Doing so, reduces the risk of injury that divers face; also bringing quicker closure to a family’s loss as well as your time spent on scene. 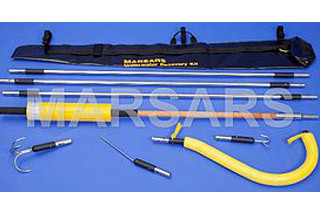 Kit RPKB 5.1 includes buoyant handle and extensions for a 20′ overall length needed to search a 15′ depth. 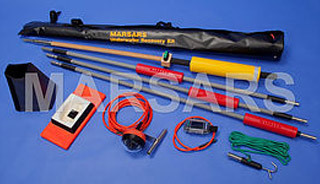 Kit RPKB 5.2 for a 35′ overall length needed to search a 30′ depth. 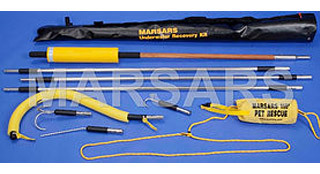 System 6 offers a safer reaching tool for surface boat or land-based rescue/recovery teams. 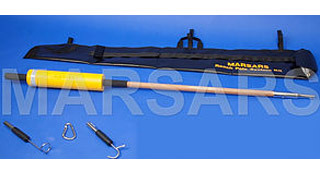 This boat or land-based tool is designed to recover free floating victim(s) to safety. 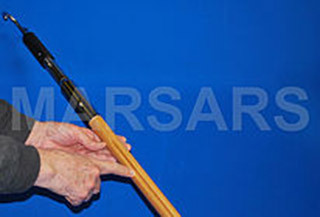 Overall length with shepherd’s crook attached is 13.5′. 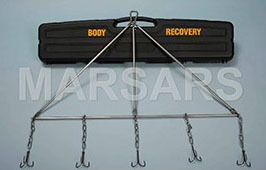 This heavy-duty recovery tool is completely buoyant. 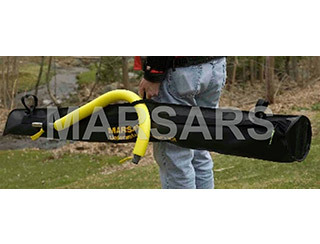 Packed within a foam lined storage container, the MARSARS Body Drag is designed for rapid assembly and deployment. For safety, the stored device takes up less space plus prevents both inflatable boat deflation damage plus accidental personal injury from hook puncture. 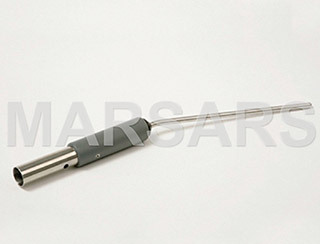 This high quality MADE IN AMERICA device is moderately priced @ $399.00 plus shipping. 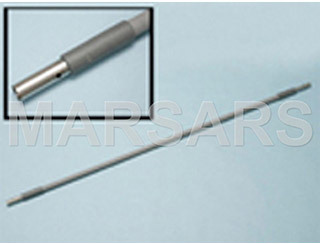 This uncoated Reach Pole Extension is inherently buoyant. If accidentally dropped, polyethlyene foam flotation prevents loss. 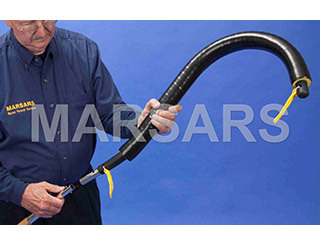 Designed specifically for land or boat-based underwater body recovery. 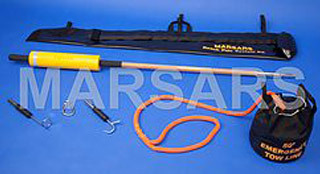 The “Boat Hook” is long recognized as an essential tool for safer boat operations. 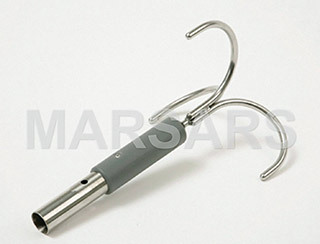 In use, grab of hook pulls objects to boat. 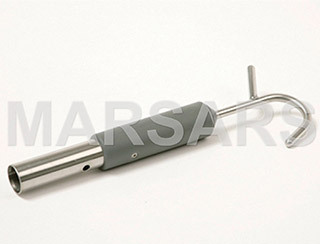 Fend/push away from danger with spur. For child or side-by-side multi-victims. 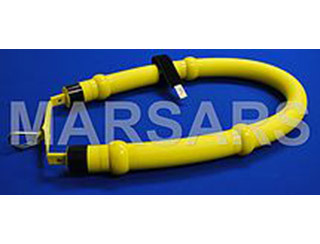 The use of this adapter enables ice rescuers to extend the buoyant MARSARS Cold Water Rescue Sling. Keep your rescuers high and dry. 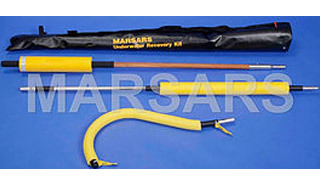 When properly used, this recovery tool places distance and device between victim and rescuer. Often prevents unnecessary risk. 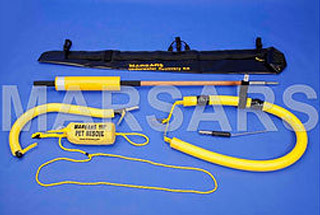 Ideal shore-based river rescue tool. 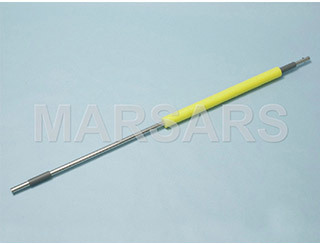 Contains Reach Pole System handle and extensions.